When it comes to the next Orbital Sciences Corporation’s commercial resupply trip to the International Space Station, students and space go together like the Cygnus spacecraft’s docking to the orbiting laboratory. The Orbital CRS-3 mission will deliver new scientific investigations to the space station, many of which are meant to challenge and inspire future scientists and explorers. Cygnus will launch atop Orbital’s Antares rocket from the Mid-Atlantic Regional Spaceport’s Pad 0A at NASA’s Wallops Flight Facility in eastern Virginia. This latest Orbital mission includes a multitude of student research. 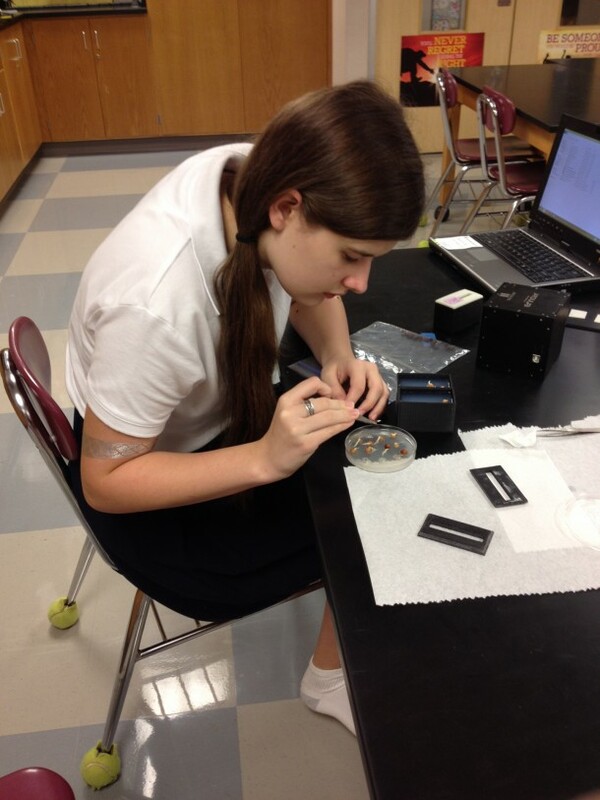 One such investigation by students from Duchesne Academy of the Sacred Heart in Houston is the NanoRacks-Duchesne-The Effects of Microgravity and Light Wavelength on Plant Growth in an ArduLab (NanoRacks-Duchesne-Plant Growth Chamber). This study tests the performance of fast-growing plants in space, specifically pea shoots or Pisurn sativum. Pea shoots grow so quickly on Earth that they can be harvested in two to four weeks. They also contain high amounts of vitamins and minerals, making them a potential source of food for growth and consumption on long-duration space missions to feed astronauts. 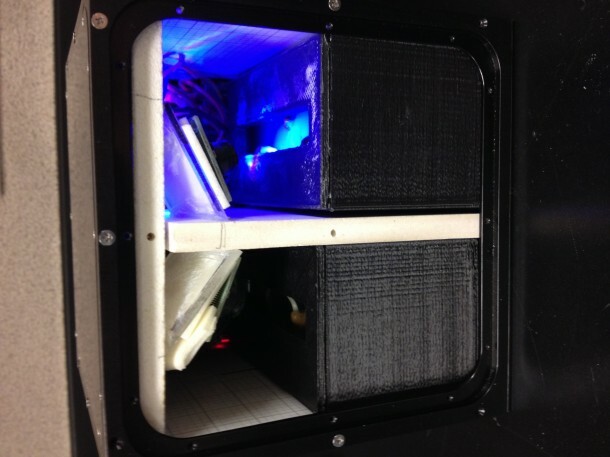 The plant growth chamber uses a combination of red and blue light-emitting diode (LED) lights. This proven combination provides optimal growing conditions for plants on the ground. In this study, students will identify the best combinations of red and blue LED lights to grow pea shoots in space with analysis of the plants’ mineral content upon return. Results from this investigation will help determine the best methods for plant growth in limited lighting and with minimal nutrients or physical space. These results may lead to more efficient crop production on Earth, especially in areas with limited resources such as in drought conditions or congested urban areas. A group of student-led investigations aboard Orbital’s flight, the NanoRacks-National Center for Earth and Space Science Education-Yankee Clipper (NanoRacks-NCESSE-Yankee Clipper), includes studies of crystal growth, mosquito larvae development and milk expiration in microgravity. This collection of 18 student investigations was selected from 1,487 student team proposals. The Yankee Clipper research is part of the Student Spaceflight Experiments Program (SSEP), conducted with the NCESSE in partnership with NanoRacks LLC under a Space Act Agreement. SSEP offers young scientists the opportunity for the ultimate science fair project: conceiving, designing, implementing and analyzing a real scientific research question in space aboard the space station. The program immerses students in real research in space, motivating them to study science, technology, engineering and mathematics, or STEM. The Creating Crystals in Space study examines the impact of the space environment on crystal growth. McGowan Park Elementary School sixth and seventh graders in Kamloops, British Columbia, Canada will observe crystal growth on the space station to learn more about how fluids act and form into crystals in the absence of gravity. With this understanding of solid formation from liquid in space, unique materials may be created on the ground. It could also help scientists better understand how fluid mixing and crystal formation works in microgravity. 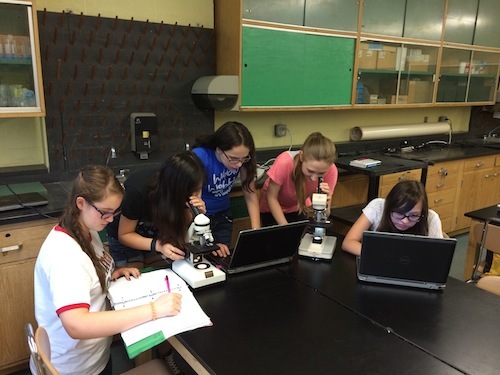 Baby Bloodsuckers in Outer Space is an investigation by seventh grade students at Columbia Middle School in Berkeley Heights, New Jersey. They will test the development of Aedes albopictus mosquito eggs in microgravity and compare this with eggs developed under normal gravity. The students hypothesize that without gravity the larvae will be unable to develop a fundamental mechanism in order to mature. Colleton County Middle School students in Walterboro, South Carolina will conduct the Milk in Microgravity study after it travels to the space station on the mission. Milk in Microgravity looks at which type of milk, whole, skim or one percent, is most spoiled after six weeks of exposure to microgravity. The students determined from previous ground research that whole milk spoils most quickly, while skim milk takes the longest of the three types of milk to spoil. They want to find out if microgravity alters the amount of coliforms that form in different types of milk, which impacts the rate of spoiling. Their hope is that the results of the study will aid in keeping all types of milk fresher for longer periods and to add another beverage option for long-duration space travel. Moving from student studies on to international research, one of the human health investigations on Orbital’s flight is the Strain-gauge Plethysmographic Analysis of the Cerebral Drainage Experimented and Assessed in the Microgravitational Setting (Drain Brain) investigation. This study will try to determine how blood flows from the brain down to the heart in the absence of gravity. With this understanding of blood flow in space, it is possible that researchers can help treat headaches and other neurological symptoms reported by crew members while living on the space station. The special neck collar used to measure blood flow from the brain for the Drain Brain study, called a strain-gauge plethysmograph, does not require surgery or special knowledge to operate. This could make the collar a useful tool for monitoring patients on Earth who have heart or brain disorders. Drain Brain also could have implications for development of screening mechanisms for cognitive disorders like Alzheimer’s disease. Finally, the Meteor Composition Determination, or Meteor, study will enable the first space-based observations of meteors entering Earth’s atmosphere. Meteor uses high-resolution video and image analysis of the atmosphere to ascertain the physical and chemical properties of meteoroid dust, which includes size, density and chemical composition. Investigating the elemental composition of meteors adds to our understanding of how the planets developed. Continuous measurement of meteor interactions with Earth’s atmosphere also could spot previously unforeseen meteor showers. Every new investigation that arrives on the space station, whether it involves student or human health research or Earth and space science, has the potential to help advance human endeavors in space exploration and create benefits that impact those of us on Earth.